Though having a side-role in most of these, his character often eclipsed the lead roles. Making people laugh is an art, and it’s rightly said that it's easy to bring tears in anyone’s eyes but it is too difficult to make people laugh. Rajpal Yadav is one of the torchbearers of the world of comedy. He made his very own and special place in the Hindi film Industry with his immense aptitude for comedy and amazing dialogue delivery. Although he comes from a small town of Kundra, located in Shahjahanpur district in Uttar Pradesh, he proved himself to be an icon of comedy. After taking his acting training from National School of Drama in Delhi he started his acting career from a television serial Mungeri ke bhai Naurangilal in Doordarshan. 2005 film Waqt: The Race Against Time was directed by Vipul Shah and had a glittering cast of Akshay Kumar, Priyanka Chopra, Amitabh Bachchan and Shefali Shah. Rajpal Yadav played a role of crazy servant Laxman. The film was a romantic thriller, released in 2001 starring Fardeen Khan, Urmila Matondkar and Sonali Kulkarni Rajpal Yadav played a character of Rampal Yadav/Chhota Vakeel in the most hilarious way. Rajpal Yadav gave his outstanding performance in this 2007 horror comedy film starring Akshay Kumar, Vidya Balan where Rajpal Yadav played a role of Chhote Pandit who gets possessed in the Raj Mahal. Hungama was released in 2003. The movie was a comedy drama and Rajpal Yadav aced the role of Raja who comes to marry and gets into trouble. His fabulous acting in this scene will make you laugh uncontrollably! Aan was a multi-starrer action film and Rajpal Yadav played a character of Apte, a servant. Although the film had many Bollywood stars in lead role Rajpal Yadav character stood apart from all because of his comedy. David Dhawan’s romantic comedy film Main Tera Hero contained Rajpal Yadav as a hawaldar Peter. Rajpal Yadav was the most hilarious character in the film apart from Varun Dhawan. Chup Chup Ke released in 2006 and starred Kareena Kapoor Khan, Shahid Kapoor, Sunil Shetty and Susma Reddy. Rajpal Yadav played a character of Bandya in the film who was a servant. This 2013 movie's story revolves around a cop and featured Rajpal Yadav as the one side lover of Seher (Prachi Desai). This film was directed by Priyadarshan and starred Akshay Kumar and Trisha Krishnan in the lead roles. 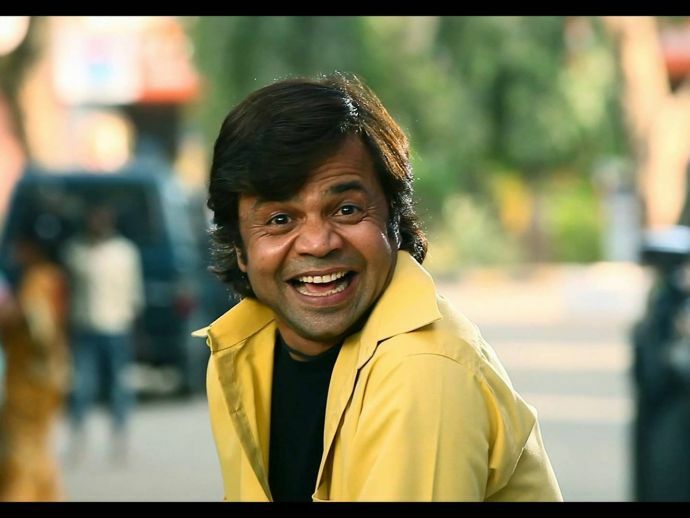 Rajpal Yadav played a role of Rangeela who works under Akshay Kumar in the film.